The Folsom area features a number of amazing acne and skin care clinics that offer the best beauty resources for flawless complexions. Consider it as a journey to find peace and tranquility with a healthy face and body. You can choose from a list of excellent skin care treatments. For example, there are revitalizing facials which go deep to cleanse and exfoliate the pores. There are acne peels designed to carefully clear away break-outs and bacteria with alpha and beta hydroxy acid formulas. Plus, your face can be pampered with an oxygen lift treatment blended with pineapple and papaya exfoliation and plant stem cell enhancement. It all sounds so luxurious and lovely. Whatever skin care issue you have, there is an expert on hand to discuss your best treatment options and answer any questions pertaining to beautiful skin. As for the body, your spirit will thank you as you drift off into a feeling of relaxation and balance. Therapeutic touch can mean so much from head to toe, both inside and outside. Science shows us massage does a body good, eliminating toxins from the system, improving skin tone and color, loosening up extremely tight muscle groups and so much more. 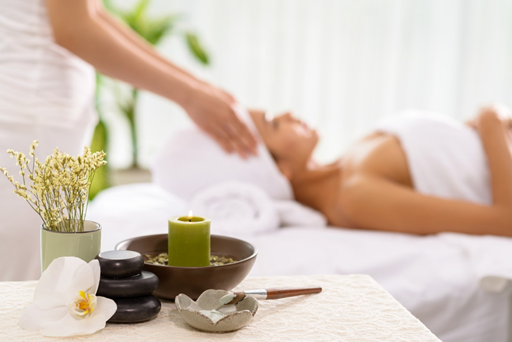 You can choose from decadent mud wraps, Asian foot treatment, Jara healing treatment with botanical soothers, and several other body massages. Life is busy enough, and maybe you’ve neglected your inner. Isn’t it time you gave your face and body a little TLC? You deserve it. Make time for yourself and schedule a session at a Folsom, CA acne and skin care clinic like the Healing Station. Click on the Schedule Now link at the top of our website or call us today at 916-294-9980.